Any sensible cinephile, even one so misguidedly snooty as to look down on the horror genre in general, can acknowledge that The Texas Chain Saw Massacre, that wholly original rough and raw work of art, is among the greatest films ever made. 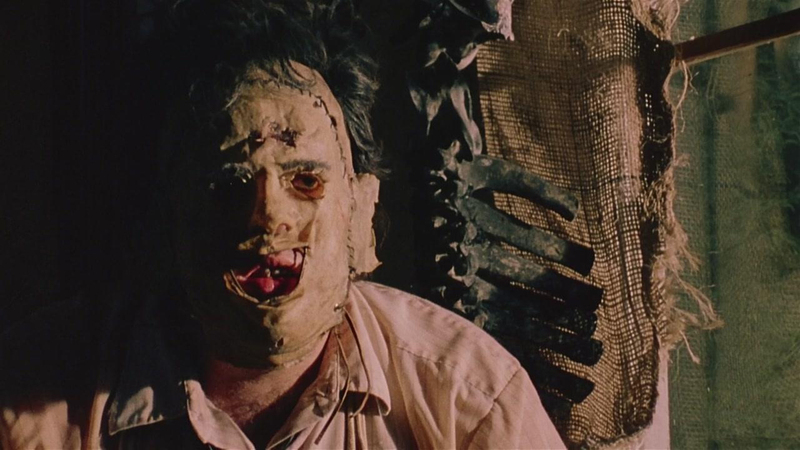 No small part of the film’s greatness belongs to Gunnar Hansen, whose delicate and savage, endlessly imitated but ultimately inimitable performance as the backwater cannibal Leatherface embodies the transgressive strangeness and humanity of the film itself. Hansen’s Leatherface is every bit as vulnerable and terrifying as Karloff’s Frankenstein - Gunnar's performance and the film contaning it are just as much if not greater artistic accomplishments than Whale and Karloff’s own genre-defining work. Subsequent Hansen-free depictions of the character prove just how much the excitable, cross-dressing, bullied, scared, childlike, monstrous version from the original film belongs to Hansen. Hooper, for all his virtues, never again created a character as electrifying and complex as Leatherface. It is as complete and perfect a character as has ever been depicted onscreen - Hansen’s contribution to the world of performance, genre and cinema is the kind of strange and captivating moment in art that freezes the current zeitgeist in time, a shocking chill that kills an era off and allows new one to bloom after the thaw. There is the genre horror before Texas Chain Saw Massacre and then there is the horror genre after The Texas Chain Saw Massacre, one style before and another style after; in the after, a different and weirder flora and fauna consuming the landscape. He never returned to the role. But unlike so many overnight successes crushed by their glancing brush with Hollywood, the story of his life doesn’t seem to have been one of bitterness and increasingly desperate attempts to get L.A. bigwigs to glance his way once more. Part of the burgeoning “weird Austin” of the early 70’s that owed as much to the Beats as to the Hippies, Gunnar Hansen fit right in with the Texas film scene of the era that included Lou Perryman, Kim Henkel, L.M. Kit Carson, Tobe Hooper and Eagle Pennell - a group of inveterate outsiders that never fit comfortably under any label, let alone within the confines of traditional genre-filmmaking. Texas Chain Saw director Tobe Hooper’s first film had been a meandering beatnik goof built around a loose collectivist association of bohemian poets - Hansen knew Hooper vaguely through this scene and both the director and his actor only came to horror movies on a whim. These independent Texas filmmakers were poets and layabouts, beaten-down freethinkers; they were a group that Hollywood attempted to co-op, but could never wrangle - Hansen’s Leatherface perhaps the most apt symbol for this group: in the cannibal, Hollywood saw another Freddy or Jason, a face and shtick that could be fashioned into an iconic (and empty) money-printing machine - but the character violently rejected all attempts at a cash-in, like savage animal that simply couldn't be tamed. There might be arguments about who made for the best Jason Vorhees or whether late-period Freddy was a betrayal or a refinement of the character, about just how much sell-out facsimiles overwhelmed and became the essential versions of characters like Freddy, Pinhead and Michael Meyers but there's no discussion to be had here: there's only one Leatherface. They failed to turn him into a gimmick who starred in videos with the Fat Boys because Hansen's creation, the character as Hansen created it, was incorruptible - the correct Frankenstein comparison isn't even Karloff and Whale's, it's Mary Shelley's. I’m no nostalgist and I’m certainly no cheerleader for Austin, Texas, but the writing is on the wall: artists like those guys who came up making movies on their own in Texas in the 70's don’t seem to exist anymore. When we lose one like Hansen, we lose a piece of an era and a philosophy of art that has since not only been frozen over, but paved over so a stupid mall full of Platinum Dunes-licensed Freddy and Jason t-shirts could be built on top of it. Somewhere, right now, a young filmmaker is writing a "loving" pastiche film about a clan cannibal of killers with a penchant for meat hooks. What this filmmaker should be doing is stealing food from the Hollywood set filming "on location" in his hometown so he can spend his days reading Herman Melville and writing jagged poetry about wandering and reefs and what it must be like to be scared and backwards, what it must be like to be a monster enslaved by its own hated identity, slave its own limited and limiting understanding of the world around it. To be alive with rage and cowed by family, to yearn and to fear, to in turn strike fear and sow chaos when attempting to bring peace. To uphold the sick traditions and cravenly embrace your need of familial love, submit to the power of familial bonds. To understand what it means to be Leatherface.